This griddled prawn and asparagus salad is an idea for a recipe that I came up with after eating the freshest, juiciest prawns whilst on holiday in Salcombe, Devon. Salads are simple to prepare and don’t detract from the flavour of the main ingredient – the beautiful prawns. The dressing is always crucial in salads and I can’t imagine ever eating a salad undressed.. I’m using lots of wholegrain mustard in my dressings at the moment and I paired it with lemon here, which works well with the garlic & basil marinated prawns. A seafood lovers salad featuring King prawns for decadence. Assemble your salad by dressing the leaves in a bowl then transfer to two serving plates. Top with the rest of your ingredients and serve with bread. Thanks Ren you’re very kind. My apologies for the photo in both quality and composition. I have no excuse-I did art a-level. I think you could say that I aspire to have photos more like yours! 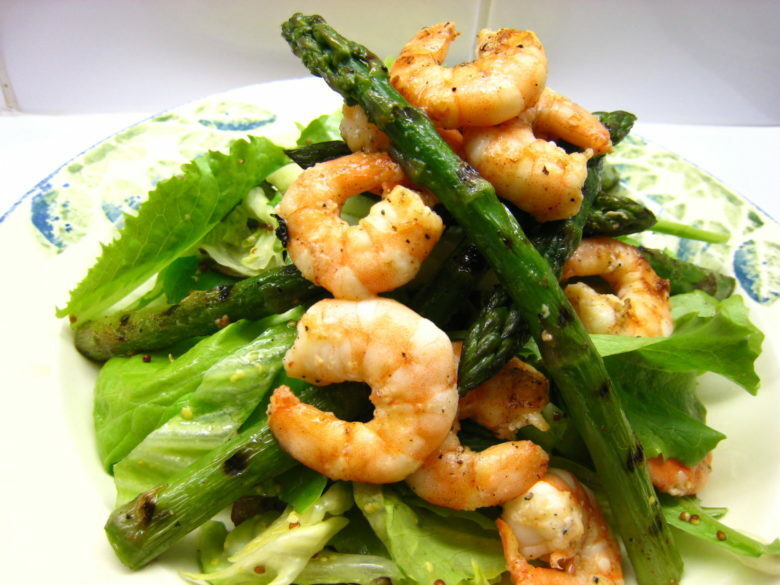 Prawns and asparagus together with the lemon juice, honey and mustard sounds absolutely lovely. 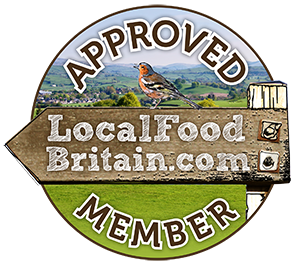 So much great food in Devon – I’ll be thinking of you eating freshly caught crab sandwiches. Thanks for your comment, I am a very big fan of both shellfish and fish. Maybe that’s part of the reason I love Devon & Cornwall so much!